Still think that the bowl cut is boring? See how the cut has upgraded throughout the time and find out how to wear and style it today! Some things get better with the time. And the bowl haircut isn’t an exception. Its transformation has attracted guys from all over the world. Go and find out how! No wonder many guys associate the bowl cut with a living nightmare of childhood that your mom generously gave you just herself. Don’t worry; this horror hasn’t become real. On the contrary, it has turned into one of the most stylish trends in the men’s fashion world. Are you ready to start over? To change your image of the cut, we’ve selected the latest ideas that can fit any taste, occasion, and hair type. With the iconic classic and inspiring contemporary variations, you’ll find out how the cut is done, styled and how it has changed throughout the time. The name of the bowl haircut comes directly from its appearance. It’s a simple, one-length cut that follows the same length all over the head, featuring a straight bang. Obviously, a bowlcut looks as if it was cut with the help of a bowl placed on a wearers head; that’s the origin of its name. Fortunately, the modern styling can change the way we perceive it! A bowl haircut is one of a kind. Period. This should be more than enough to prove why it’s so cool. However, there are other reasons too. 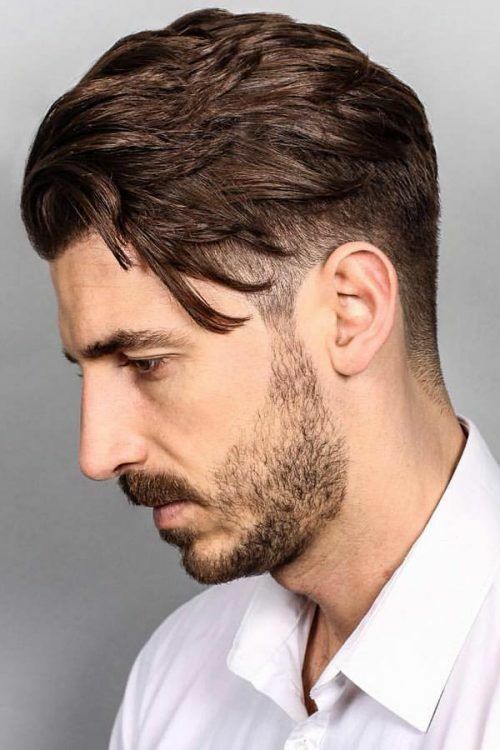 Although this timeless hairstyle doesn’t fit every guy, it’s extremely versatile and can be adjusted to many different hair types, face shapes and occasions. However, it looks exceptionally flattering on guys with defined facial features. 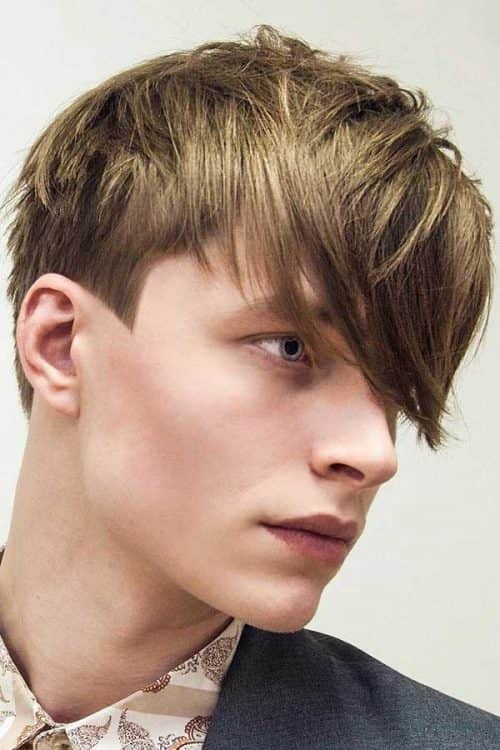 Of course, a modern bowl cut is no longer so blunt and rustic. It’s much more textured, stylish and intricate. 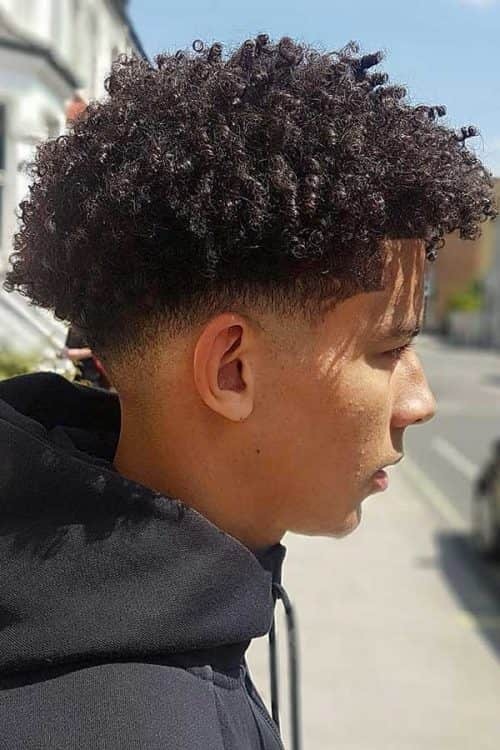 The simplicity of bowl cuts is absolutely noticeable even for the naked eye, which means that you can easily get and maintain it yourself, following the footsteps of your mother. Yet, this time you won’t get upset by your image. If you want to get the cut yourself, make sure that you’ve got a good hair clipper. It’s better to create the bowl effect with a rough undercut which has the top descending down the sides and back. 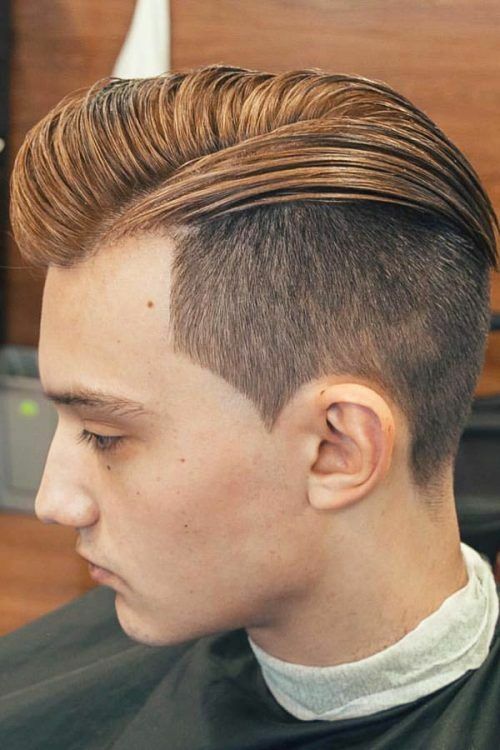 Men who want to leave it up to professionals should ask their barber to fade or taper up the neck so that the sides and back have a clear separation. In this way, the touch of modernity will save the bull cut from a ridiculous look. Though this cut may appear pretty plain, a bowl haircut can offer you a versatile and quite a flexible styling routine. Your task is to choose between two main styling ways: nice and clean or textured and messy? When it comes to styling, forget about sleek helmet look. 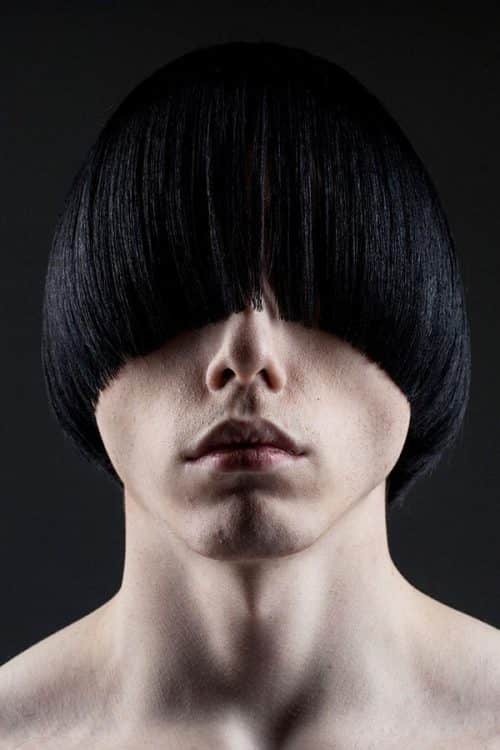 The contemporary take on a bowl cut features a lot of shine and texture. Thus, don’t skimp on a hair styling product, such as gel or gum. If simply tousling your locks seems not enough for you, add a spritz of a sea salt spray. Though, obviously, the way of styling very much depends on the initial cut. So, let’s gaze at the most trendy bowl cuts of late. Gents who seek neatness will need to provide themselves with a proper styling arsenal. First of all, a brush or comb is essential when blow drying your hair as it will help to create the needed shape. Also, don’t forget about hairspray: it will make the sleekness stay in place. To make your cut express your carefree nature, consider using salt sprays and clays. After washing and conditioning your hair, spritz the fringe or the whole mane with a spray or run your fingers through it with a clay, tousling up the hair. Set the messy finish with hairspray to rock it all day long. When we are talking about classic men’s haircuts, you expect to see something versatile and suitable for everyone. 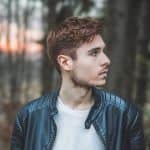 But when it comes to the classic bowl cuts, where everything is straight and clean, it exemplifies a bold, outstanding look that not every man will dare to try. To add a hint of contemporaneity, you can slightly tousle up the top. The best thing about modern men’s haircuts is that there are no limitations to your creativity. 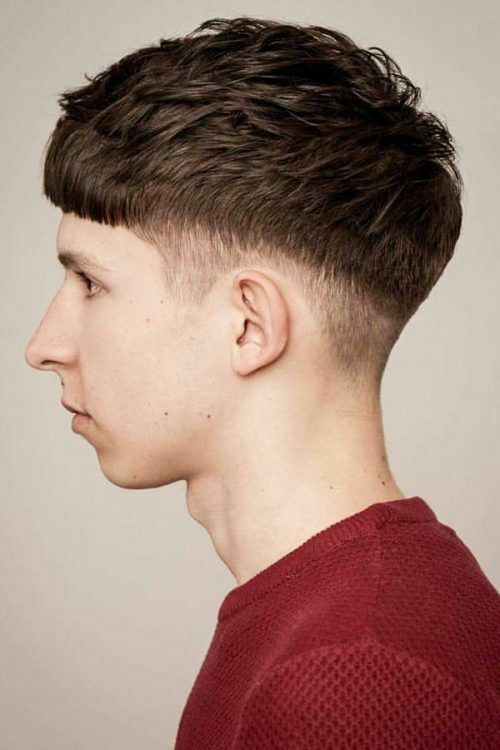 And the same goes for the modern bowl haircut; you are allowed to go against the classic patterns of the cut, playing around with taper, fade and changing the way fringe falls on your forehead. There’s no better way to enhance the natural texture of your hair, adding more volume to it than going for layers. Layered haircuts, whatever they are, give a wearer a bit messy, yet sharp and distinctive looks, which will be a good complement for bowl cuts. 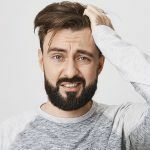 It’s no secret that undercut haircut is probably one of the most requested cuts not only among footballers but also among men with any lifestyle. 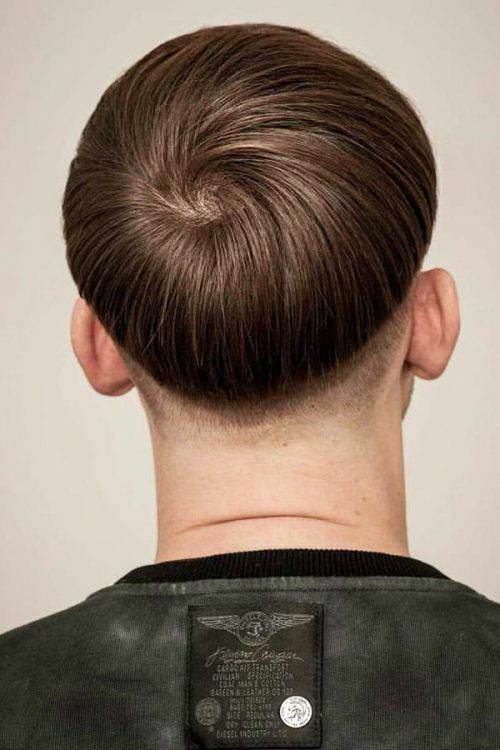 Combining some features of a bowl cut with a disconnected undercut can give a unique and sophisticated style with the cleanly shaved sides and a distinctive, edgy fringe to a wearer. 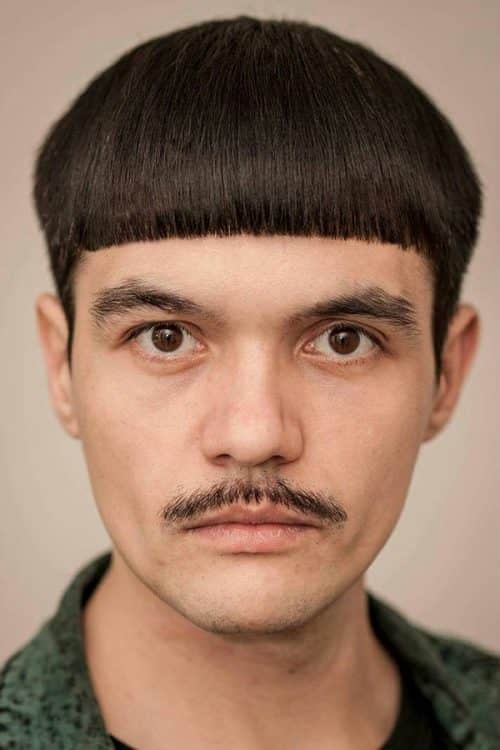 A bowl cut accompanied by a fade takes the familiar fade haircut to the next level. 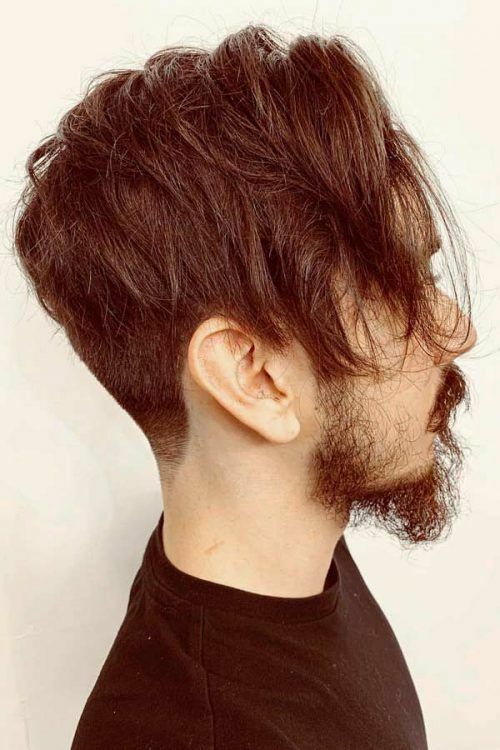 The faded elements can take place in any area you want, and the most authentic idea for bowl cuts would be a nape fade that smoothly transits from the top to the very back and all over the sides. 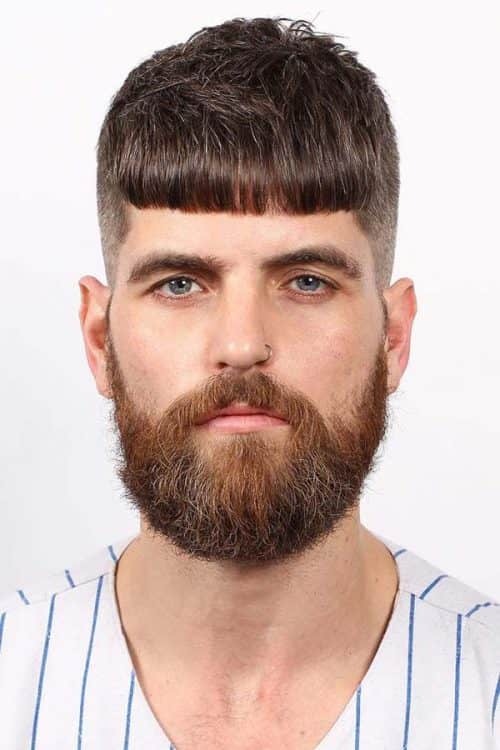 Once you browse Instagram or Pinterest galleries with a hashtag #bowlcut, you may get surprised by the mushroom cut which is among the top results. And the most surprising thing will be that they actually look awesome if they’re cut and styled right. The serious and sleek top that falls around the head is a nice way to make a statement! We have good news for guys who deal with natural hair every morning! Bowl cuts are the most convenient haircuts for men with curly hair, especially when they feature neatly tapered sides. To style it, the only thing you need it to moisturize your curls regularly. 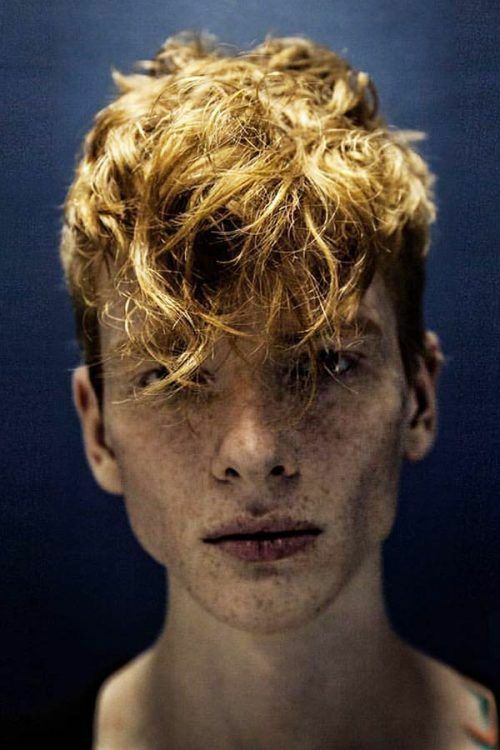 As for variability, this cut offers you a great choice of curly hairstyles. 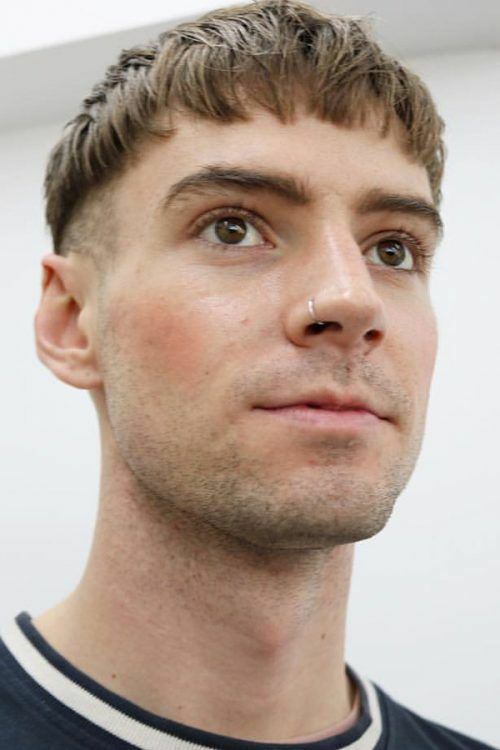 The longer your bowl cut is, the more thickness and shine it can show off. 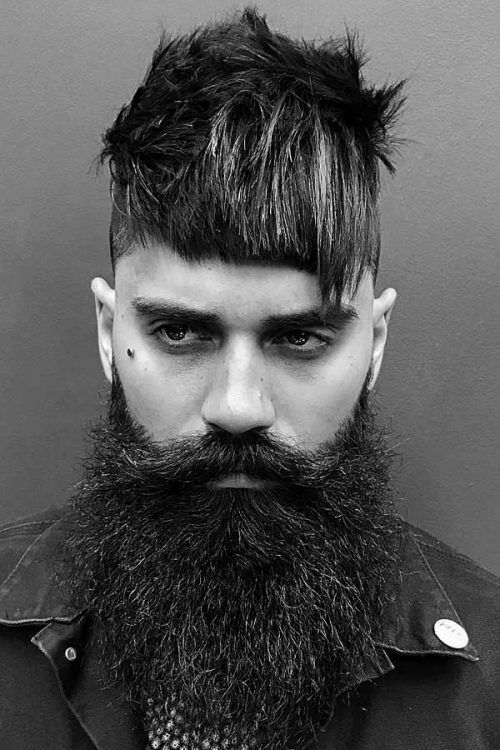 Unlike many long haircuts for men, this easy-going, pop star-like idea preserves the basic size of the cut, adding more length at the back area and leaving the sides and fringe curl inwards. Uneven locks of hair, added to your bowlcut, can wash away the thin line between the classic and modern variations. They’re not literally hair locks, but they stand out and stick from the top and drop on the fringe, grabbing people’s attention with its modernity. We ourselves can’t resist the idea of bleached hair guys from popular music bands have popularized these days. A bowl done on bleached hair, where the top is clearly separated from the sides, is all about bold statements. 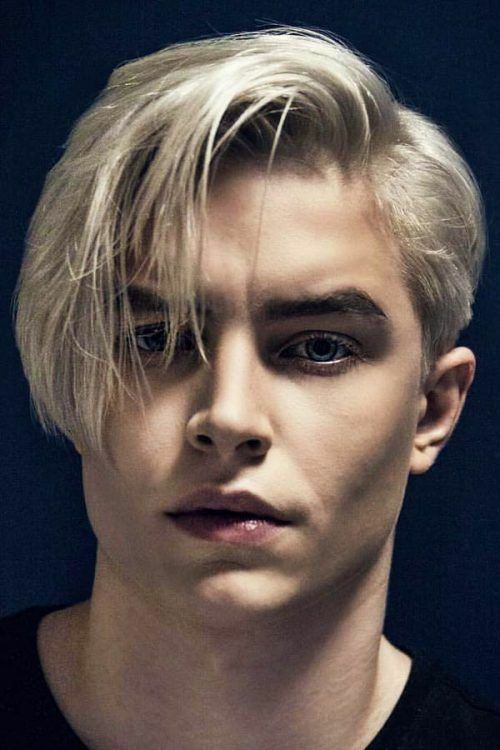 If this style appeals to you, you can also try some platinum hair color, and other ideas of cool blonde hair men find to be stylish today. How about a back-to-uni haircut? The main characteristic of an Oxford haircut is a total neatness and shine on the top. 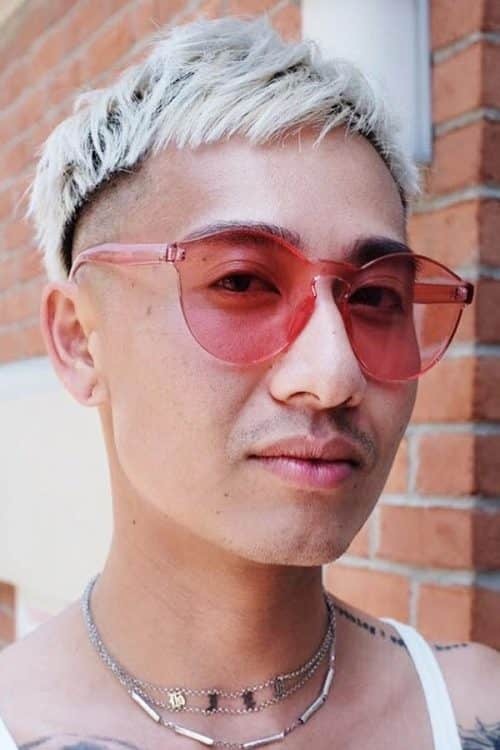 This time it can be more diverse, textured, and fun: just opt for its bowl cut hair version that looks like unintended undercut styled with soft salt sprays. Combining two popular haircuts is always a win-win decision! For example, the longer and a bit choppier fringe of a Caesar cut works amazingly with the bowl cut silhouette. 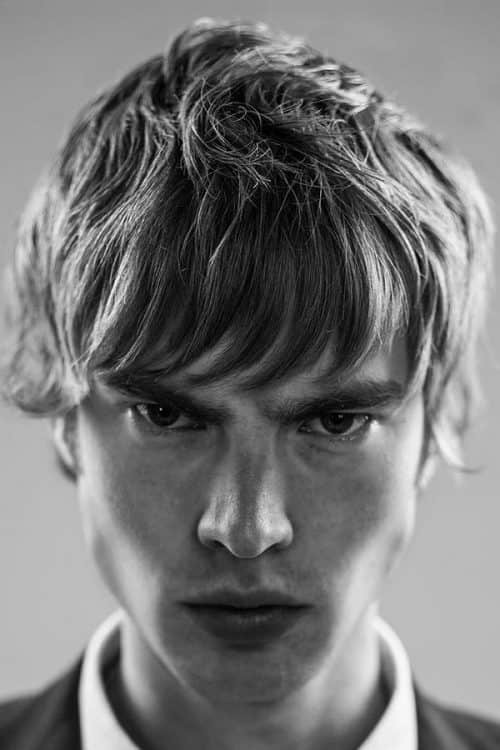 If a Caesar haircut doesn’t suit your facial features, it can be any layered fringe haircut that can do the framing. The timeless middle part hairstyles will never lose its popularity. 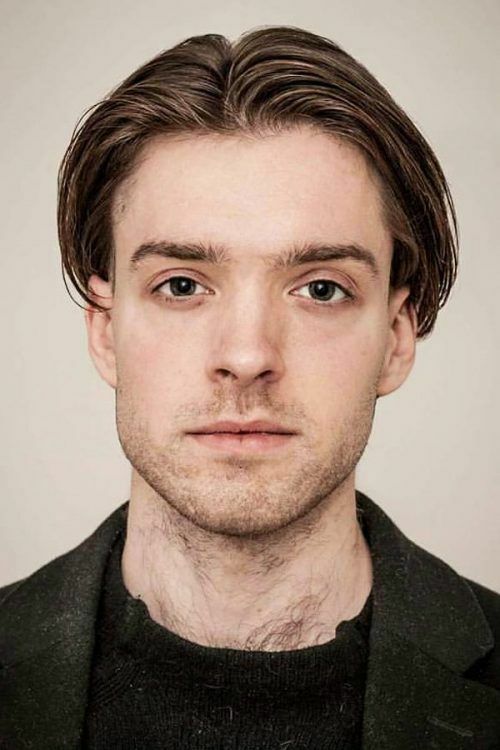 The best thing is, this way of parting can find its place at almost any medium-to-long haircut. 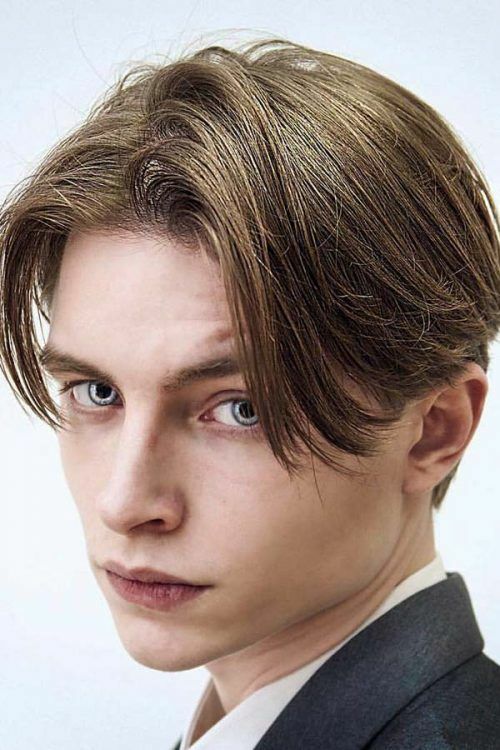 Though getting a middle part for a bowl cut is super easy, it gives a very refined and masculine look, emphasizing the best features of a man’s face. 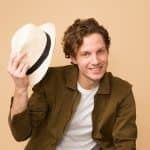 So that there are no doubts that you’re flaunting a mannish, not a boyish hairstyle, pair your bowl cut with one of the most apparent signs of maturity – facial hair. A rugged beard is right what you’re looking for. 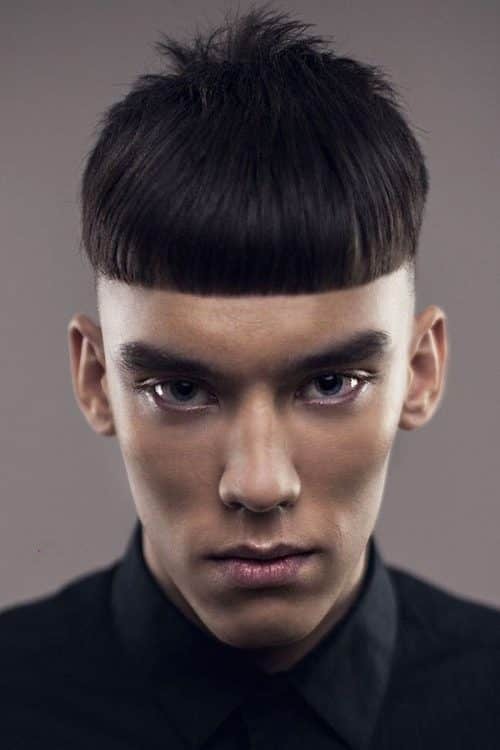 Asian bowl cut, as well as Korean bowl cut, comes out very dapper and defined. Thanks to the thick and coarse hair texture, the cut doesn’t require any effort to shape and style it. Besides, you can opt for any type of fade on the sides without sacrifying on density. Spiky hairstyles will arguably never come out of fashion. Why don’t you try them on your bowl cut? The size and intensity of spikes are fully up to you. 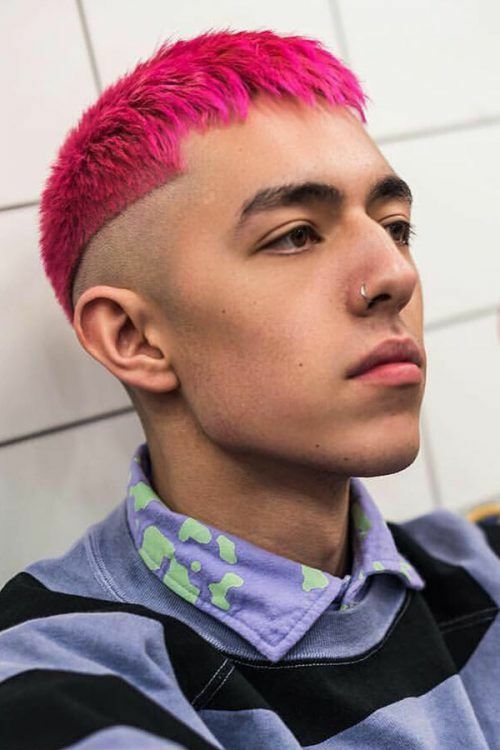 Although bowl cut hair already attracts quite a lot of attention, you can enhance the boldness of your hairstyle by dyeing your locks in a bright color, say, pink. If styling your thatch every morning isn’t your kind of thing, go for a short bowl cut. In addition to being highly convenient and utilitarian, it looks stylish and elegant. 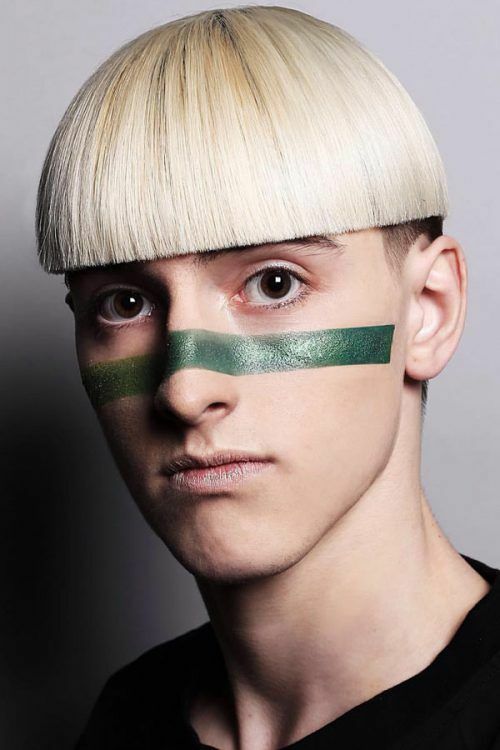 A classic bowlcut is definitely all about clean lines. Though, you can bring it to the modern days by accentuating with an under shave. To add a bit of a stylish twist, push the fringe to one side instead of letting it hang over your forehead. 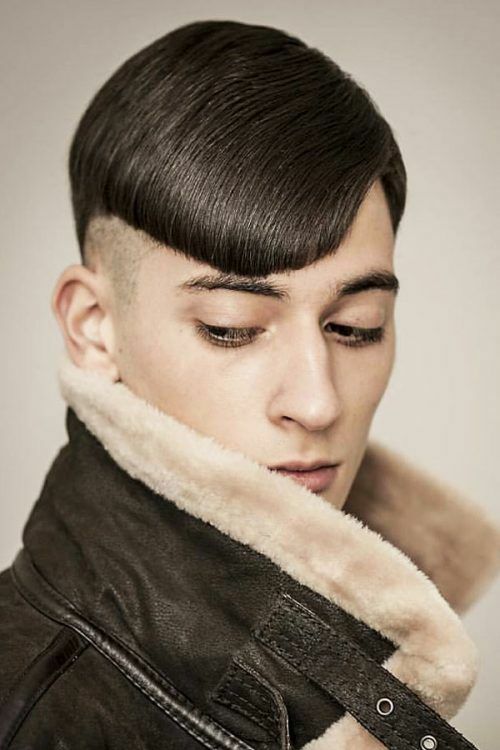 To successfully pull off a bowl cut men should not only look but also feel confident and daring. Otherwise, it may come out ridiculous. 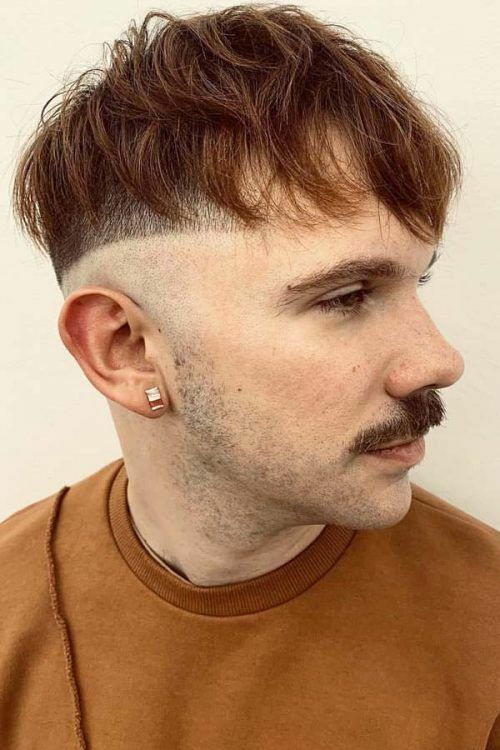 If you have all the necessary qualities to ace the hairstyle, then don’t limit your creativity – combine incongruous elements, such as this textured two-level undercut bowl cut and a mustache. As with a bowl cut the fringe is what really makes a difference, play around with it. Say, crop it a bit unevenly and partner with a scruffy beard. There may be more than a bit of asymmetry. 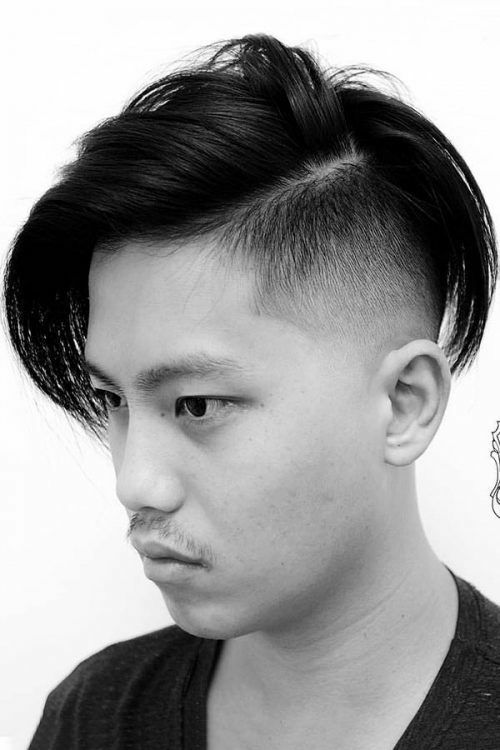 Ask the barber to cut the top in uneven layers and emphasize it with a comb over hairstyle. 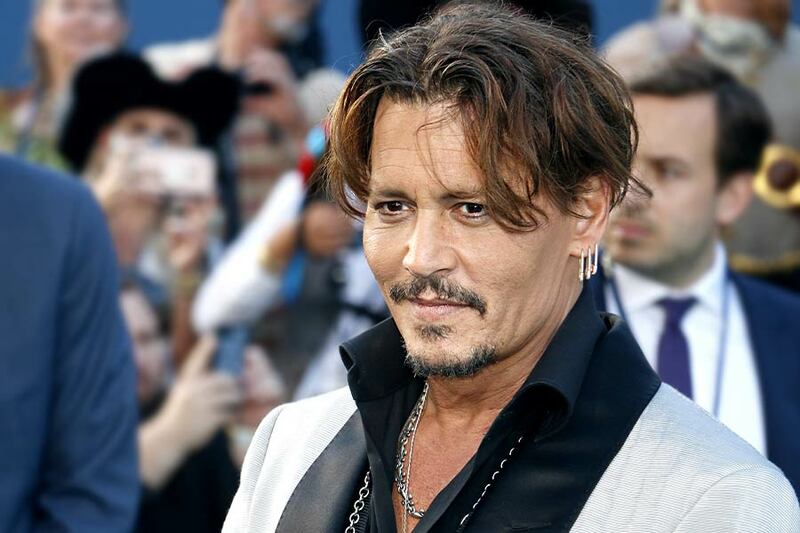 A circle goatee is an awesome accompaniment to such a look. For those guys who prefer more authentic hairstyles, a mushroom cut is a way to go. Add a bit of texture to the bangs and get a soft fade on the sides to give it a modern touch.